Our dataloggers feature wide operating temperature ranges, low power consumption, and the ability to directly interface with a large variety of sensors. Because our dataloggers operate on batteries (with or without solar panels), they are ideal for long-term, stand-alone operation, such as at remote streams or wells. Most of our dataloggers are expandable using multiplexers and other peripherals. Data are typically displayed and stored in the desired units of measure (e.g., specific conductance as mS/m, µS/cm, Ohms). Powerful on-board instruction sets allow unattended control decisions based on time or conditional events. For example, if measured water quality levels are outside a predetermined range, the datalogger can actuate water samplers, sound alarms, open valves, actuate injectors, and make a phone call to report conditions. The dataloggers can easily provide the necessary water sampler control to meet EPA-mandated first-flush and follow-up sample schedules. All data is time-stamped and data from event-triggered samples is marked for later analysis. Almost any sensor, individual or multiparameter, may be used with the system, allowing the system to be customized for each application. We helped create the original SDI-12 standard, so you can be sure our systems are SDI-12 compatible. 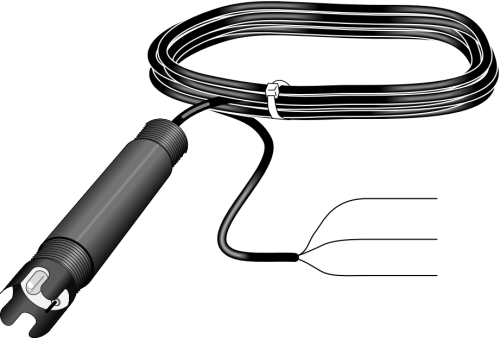 In addition, nearly all available flow, level, and meteorological sensors can be measured, generally without external signal conditioning. The availability of multiple telecommunications and on-site options for retrieving data also allows systems to be customized to meet exact needs. Options include: voice-synthesized phone, telephone, cellphone, satellite, radio, ethernet, short haul, meteor burst, coaxial cable, and storage module. Systems can be programmed to send alarms or report site conditions by calling out to computers, phones, radios, or pagers. Real-time or historical data can be displayed or processed with Campbell Scientific software. Data can also be exported as ASCII files for further processing by spreadsheets, databases, or analysis programs. The following is a list of companies that have developed expertise in our products and provide consulting, installation, and other services for water quality applications.